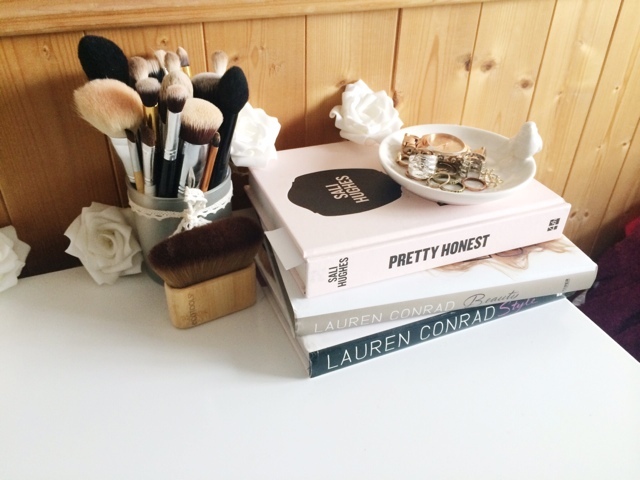 Here's my weekly favourites for you to ponder over. Some new things I've received and been loving. 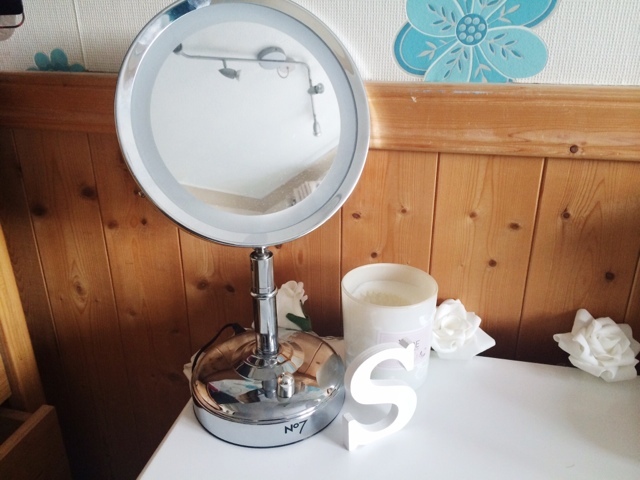 I've changed my dressing table round a bit, I've also added some new things so first is the No7 Liight Up Mirror, which was half price at boots for £25. Also on my dressing table is this little white dish with a bird on the side which I actually brought from eBay for £2 I think it was. Super cute, and I'm a big fan of little things like that. 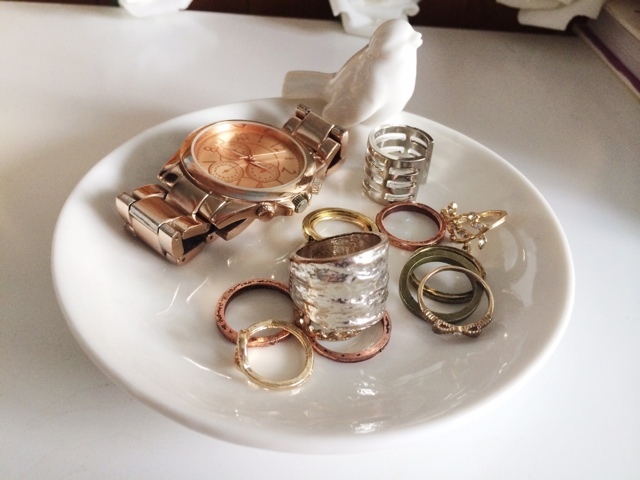 This one is holding my watch from New Look and some rings from various different shops. 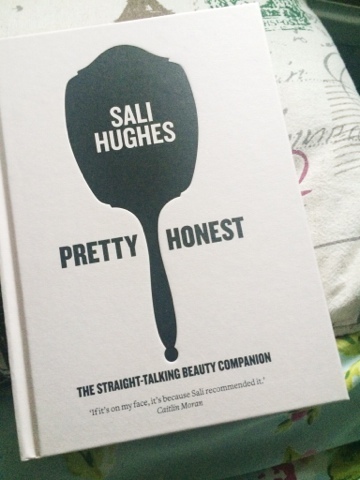 Then you may notice there's another book added to my current favourites which is Sali Hughes Pretty Honest. This arrived at the beginning of the week and I am really enjoying it so far. Very good read. 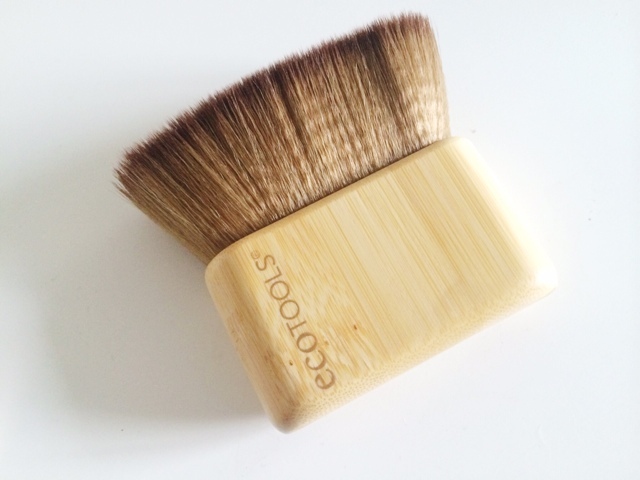 I've put all my brushes that I use on a daily basis in their own little cup, but you may be able to see this little guy from EcoTools and this is the Face & Body Sculpting Brush. If you ever get the chance to get one of these, then please do. This thing is so soft, it's possibly the softest brush I have ever felt. It's amazing at bronzing and contouring the face, can also apply powder, blush or whatever you want. A new purchase this week is from Kiehls and it's their Micro Blur Skin Perfector. This is very similar to the Benefit Porefessional in the way that it makes my skin feel so soft and silky smooth, it makes makeup look awesome and reduces appearance of pores. 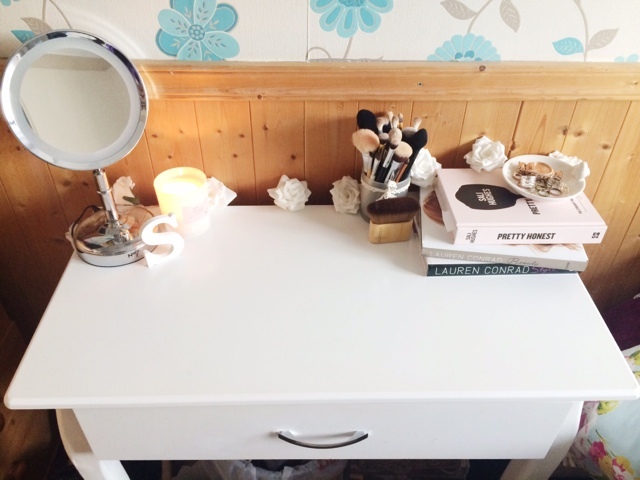 It's a good primer and I'm really impressed by it. I've also been really liking the L'Oreal Lumi Magique Concealer which I use for highlighting and brightening around my eyes and chin. This is an old favourite but I picked it up again and I've remembered how much I love it. Definitely worth getting if you haven't already tried it. 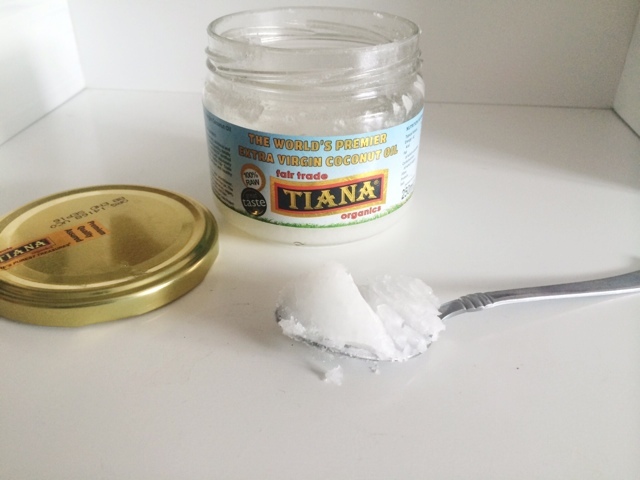 For body care, I've been using coconut oil whilst I'm actually in the shower on my arms, legs, feet, back, shoulders, everywhere basically. I've been using it as I've been getting a few rashes and spots on my arms and shoulders so I thought this might help which it really has been. Plus, it makes skin really soft and is great to get a close shave with. I've also been using the Cinammon shower gel that I used last year which is pretty darn autumn appropriate. 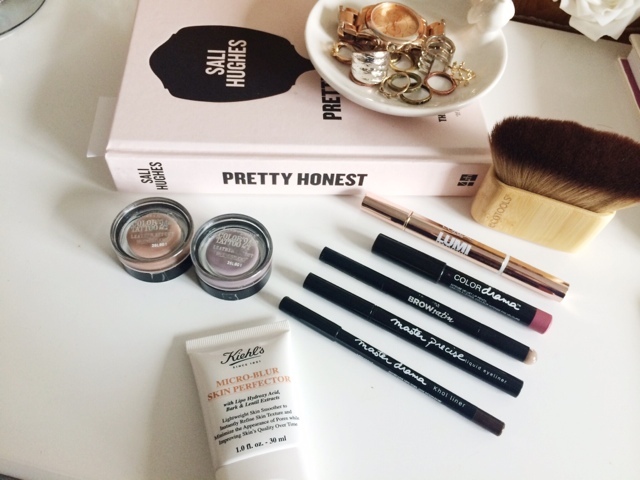 I went on a little trip to Boots last weekend and got a few bits and pieces, and I have been trying them out and really liking them. 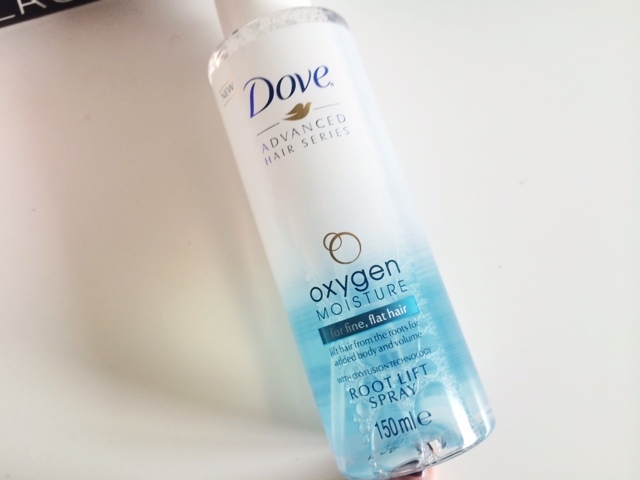 The Dove Oxygen Moisture Root Lift Spray is something I have really been enjoying. This can be used on your hair wet or dry and you just spray in your roots, style your hair as normal and it gives some lift to your hair without weighing it down or feeling crispy or whatever. I'm a huge fan of the Dove Hair Therapy line and they've recently just bought out a new line called Oxygen Moisture and I also picked up the Conditioner too which I have also been loving. I'll be honest, I don't think I like the conditioner as much as my L'Oreal EverRiche one but this is still a great conditioner. I am keen to try the Hair Mask from this Dove line and maybe the other range they had in Boots too so I will keep you posted on that. Also on my Boots trip, I picked up a few Maybelline products that I haven't tried before. 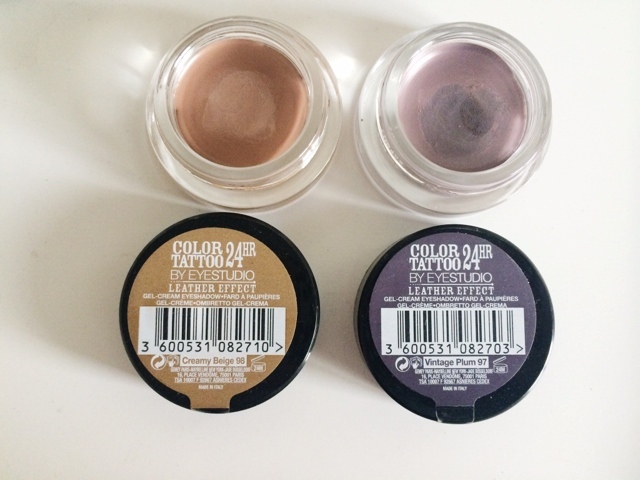 There's the New Color Tattoos Leather Effect in Vintage Plum and Creamy Beige which are just as amazing as the original formulas, except these are matte and are such beautiful colours when on the lids. 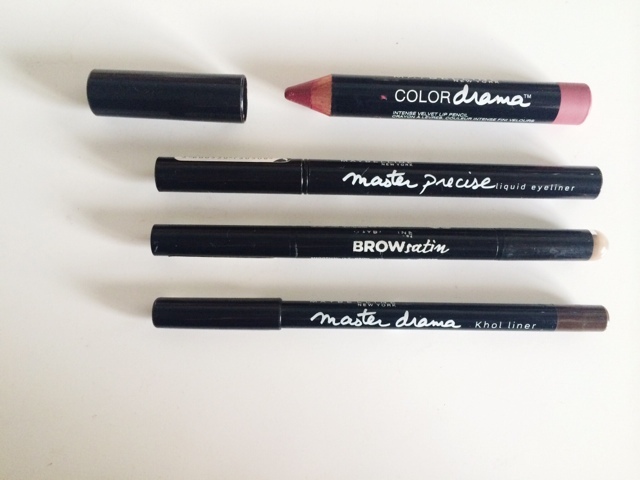 I also picked up the Brow Satin Brow Pencil. What's cool about this is on the other end there's a powder on a little smudge brush type thing which you can also put onto your brows if you prefer powder. The hassle of a separate brush goes out the window. This is a really cool idea and it actually works pretty well. I don't know how it would be on really thin eyebrows but it would certainly cut down filling in time if you have thicker brows. The Master Drama Eye Kohl in Dark Brown looked like any normally brown eyeliner, except when I swatched this, it was so creamy, it would be awesome for smudging out along the lashline or even onto the lid and I have been wearing it mainly just along my lashline and smudged out slightly. Love this and I need to go back and get a black one and see if there's any other colours. Finally for the Maybelline Products is the Color Drama Intense Velvet Lip Pencil in Keep It Classy. This is quite possibly my favourite lip product ever. This is so easy to apply, it's not drying at all, it can be built to a really intense shade or if patted in to the lips it also looks really great. I'm not keen on many of the other shades but I will be going back to see which ones I want to try. I hope they bring out more shades too as I've only ever seen around 5. Have you tried any of these? 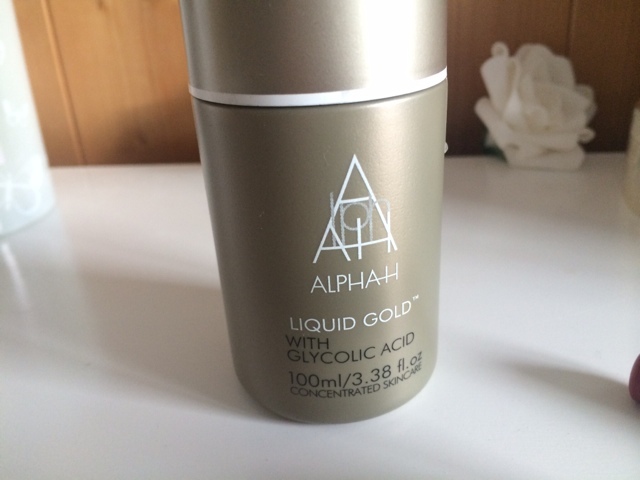 Alpha H Liquid Gold is finally back in my hands again. Oh how I've missed it. It's in different packaging to my last one too. I picked this up from Cult Beauty, put in the order on Saturday afternoon, by Tuesday morning I had a knock on the door with a lovely young man handing me this huge box (I may have purchased a few other things too). What would have made this moment perfect, was if I didn't have a mud mask on, hair in a ridiculously messy top knot and an attire that made me look like I am, a tad eccentric shall we say. It was shameful to say the least. But anyway. In this delightful box of goodies, I also had the Oskia Perfect Cleanser which I was super eager to try but I can't for the life of me squeeze any out. It just does not budge. Has anyone else tried this? Have you had the same thing. It's a fricking nightmare and I'm so sad but I've emailed Cult Beauty to see what they say. If I'm paying £30+ for a cleanser I expect to be able to use the darn thing not just look at it. But Oskia actually tweeted me back and are sending another one in the post, so I'm really impressed with their customer service, (although I tweeted I wasn't before I realised they had emailed me back) but I haven't heard from Cult Beauty which is terrible. Okay, well I think we should leave it there for today. I hope you have enjoyed the posts from the week, and tomorrow (Sunday) will be a very exciting post so make sure to come back, bright and early at 8am for a secret post. What do you think the secret post is? ?